If you’re looking for a really good deal when you lease a car, truck, van, SUV, or other vehicle, you’ve definitely come to the right place. Our prices are simply the lowest around because we do things very differently than other car leasing agencies do. Our way of doing things manages to not only decrease our overhead, which allows us to charge less than other companies, but provides great benefits to our customers at the same time. Having a physical car lot costs a lot. Property costs, property taxes, insurance, utilities, payroll for the folks who staff the place – all of these costs add up. They create a large overhead. But we don’t have to worry about paying for things like that. In other words, our overhead is a lot lower than our competitors’. 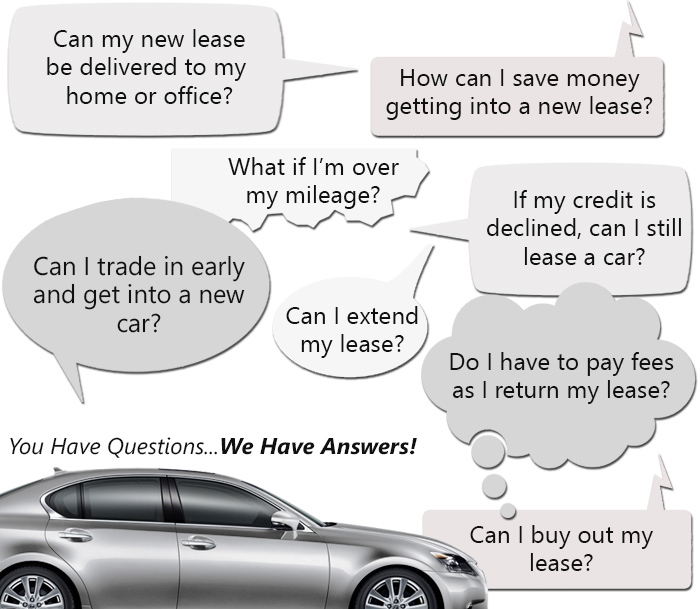 We save money when it comes to the cost of doing business, so you save money when it comes to leasing! Those old-school physical lots also limit what a company can offer in terms of the number and types of vehicles it can have in its inventory. Car lots are finite, and they tend to be small. They can only park so many cars. But a virtual lot can be big enough to hold every car ever made, theoretically, and our particular lot in fact holds any new model vehicle made by Acura, Audi, BMW, Buick, Cadillac, Chevrolet, Chrysler, Dodge, Ford, Honda, Hyundai, Infiniti, Jaguar, Jeep, Kia, Land Rover, Lexus, Maserati, Mazda, Mercedes-Benz, MINI, Mitsubishi, Nissan, Porsche, Ram, Subaru, Smart, Toyota, Volkswagen, and Volvo. Coupes, sedans, convertibles, vans, minivans, trucks, SUVs, other off-road vehicles – we’ve got pretty much any car you could want! Yet another great thing about having a virtual lot is that we’re able to give our customers the most incredibly convenient car leasing experience possible. Think about it: instead of having to rent a cab or bother friends to get a ride to some car lot somewhere, you don’t even have to leave your house. No salesman will follow you around a lot filled with sun-beaten, rained-on cars, high-pressuring you into leasing something as quickly as possible so he can collect his commission and get to lunch. Instead, it’s just you with your computer, in your own cozy home, doing your car shopping any time of the day or night, any day of the week, and taking your time doing it. Finding the right car just can’t get any more chillaxed, any more laid-back and convenient than it does with us. And if you have any questions as you’re touring our virtual lot, all you have to do is give us a call! When it comes time to consider financing, we’ll do most of the work for you, dealing directly with banks and other lenders to make sure you get a really good deal with great terms. We’ll do our best to make sure you get a deal with low interest rates and low monthly payments you can easily cope with. We’ll even handle most of the paperwork ourselves so you won’t have to bother with it. And check this out: when the time comes for you to drive your new car, you won’t even have to worry about how you’ll arrange to go pick it up. You can kick back while we bring your car right to your home, office, or most anywhere else you’ll be that day. Does any other car company take care of its customers the way we do? If you have any questions for us, of if we can help you in any way, just call us up at 347-897-5225. We’d love to talk to you! And we’d love the chance to show you how we can save you lots and lots of money!